I have been obsessed with sheer lipsticks lately. 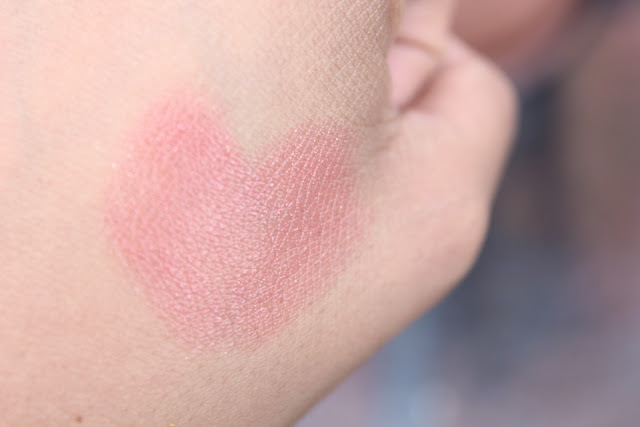 Not only is it a staple for me during the summer, but I'm beginning to prefer it over the traditional lipsticks. 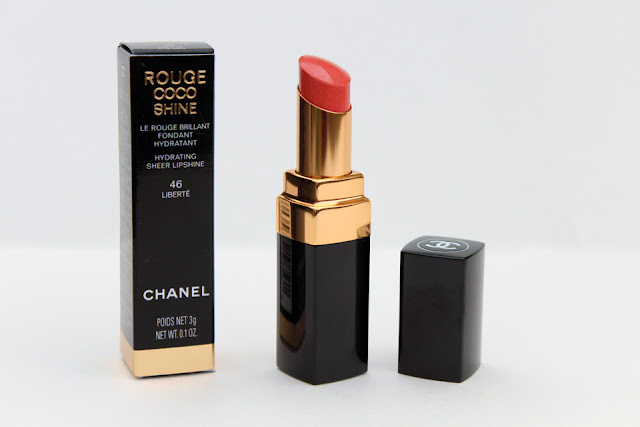 Enter Chanel Rouge Coco Shine. This particular shade is Liberté. I would describe it in the tube as a reddish coral, but on my lips, it's more of a pinkish coral. I really enjoy how hydrating sheer lipsticks can be and Coco Shines are no exception. I love the colour selection, though I do gravitate towards the brighter, deeper shades. I find those have more pigmentation. Some shades just look like a shimmery balm on my lips. One thing that might turn people off, but I happen to love, is the scent. I wouldn't say it's a strong scent, but it's distinct and it's reminiscent of Chanel's skincare line and a little bit of No.5. The packaging is beautiful, as always. The sleek black casing and the gold ring around the middle. 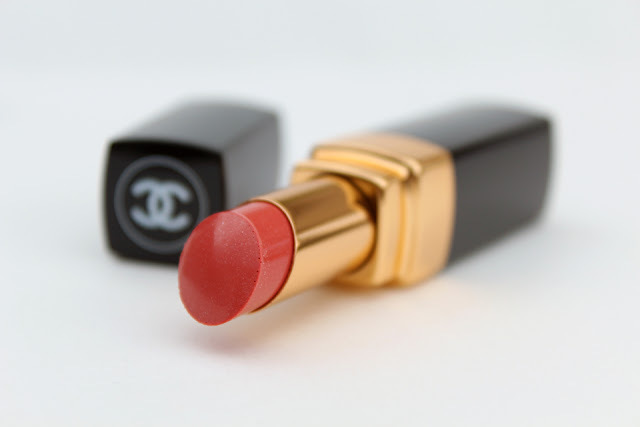 I also love the way Chanel's lipstick tubes click when the cap is pushed down. It's silly but I love that sound. These Coco Shines are smaller than their big sister, Rouge Coco. They also feel lighter in the hand. They wear as long as most sheer lipsticks do on my lips, around two to three hours before I need to reapply. Also, these lipsticks will set you back $39 CDN. It does seem a little steep for what is essentially a tinted lip balm, but you are paying for the name. I think it's worth it. I do love this colour and I enjoy how easy it is to wear.